Lovely maintenance-free living in PTC! Over 3,000 sq ft of gorgeous space w/ open floor plan & hardwood floors thruout main & newer carpet. Family room w/ gas fireplace & shelving. Huge kitchen w/ granite counters & new stainless appliances including 5-burner gas cook-top. Sunroom & deck adds extra space & is great for entertaining! Powder room, mud/laundry & 2-car attached garage complete main level. 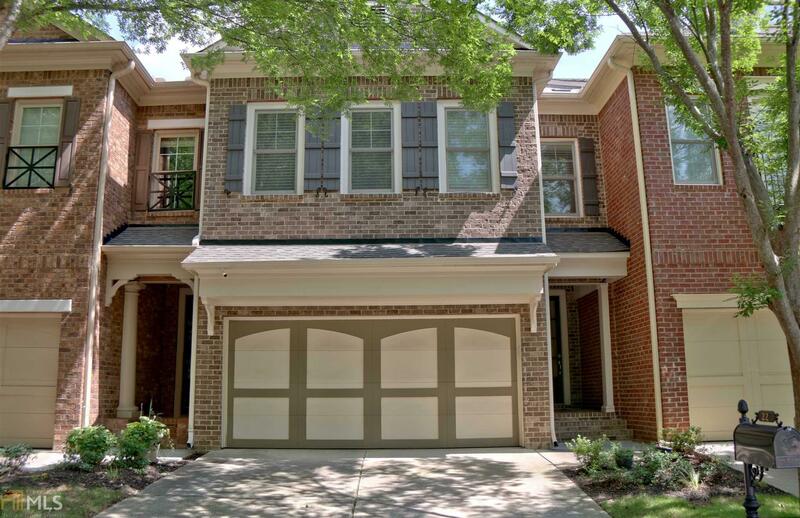 Upper level has huge master w/ sitting room, spa bathroom & large walk-in closet. One bedroom w/ full bath access & additional bedroom. Finished terrace makes excellent in-law suite w/ bedroom/den, fridge & sink, plus full bath. HOA includes lawn, paint, roof, gutters. Also, swim, tennis, playground & clubhouse! Walk to restaurants & shops. Great schools! Directions: From The Intersection Of Hwy 74 And Hwy 54 - Go West On Hwy 54. Right On McDuff Pkwy. Left On Star Spangled Lane - Townhouse On Right.